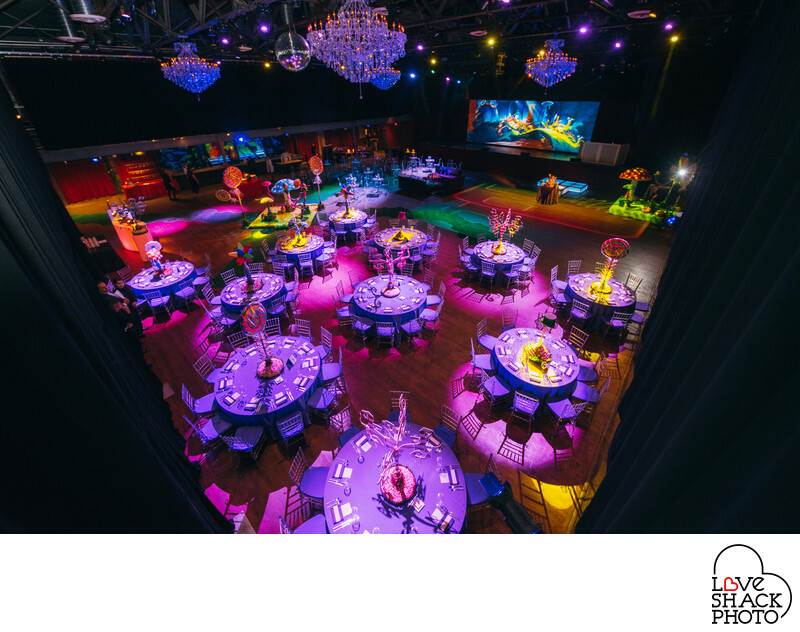 This Willie Wonka themed bat mitzvah was meticulously planned by Philadelphia event planner Melissa Brannon of Uncommon Events. The team included Eventions Productions as lighting and AV producers, Starr Events as caterer and Cinemacake as the videographer. Location: 29 E Allen St, Philadelphia, PA 19123.